It’s been an extraordinary experience serving as President of NAFFS, being surrounded by the highly intelligent and caring industry participants and volunteers as we strategize to grow and expand our importance and value to our member companies and individuals alike. NAFFS has been an integral part of the U.S. Flavor Industry for the past 101 years and coupled with our members and strong board leadership we are primed to continue to offer relevant membership benefits in the years to come. Many thanks and gratitude are also being offered to Astral Extracts for allowing me the time to support NAFFS’ industry efforts. NAFFS marked its centennial year in many ways, highlighted with its Centennial Celebration, held at the Pleasantdale Chateau, West Orange, N.J on May 18, 2017. It was a fun-packed, elegant evening offering attendees numerous opportunities to mingle and it was full of visual and verbal memories of previous NAFFS events. NAFFS’ celebratory mode culminated with its 100th Annual Convention held Oct. 26-28 in Longboat Key, Fla., capped with a dinner cruise on the Marina Jack II. The convention’s program offered a varied number of outstanding, on-point speakers from The Netherlands, Utah, Wisconsin, to Tennessee, Maryland and New Jersey. Speakers such as Kavin Senapathy, co-author of The Fear Babe: Shattering Vani Hari’s Glass House, Joanna Clifton of Innova, Wes Henderson, founder of Angels Envy, a Bacardi company, Michael Okorafor of McCormick, and presentations and tastings created by Chef Charles Hayes, Vice President of R&D at JMH Premium International and Chef Erlich Chieca, Director of Culinary Sales, Sadler’s Smokehouse, kept the audience informed and entertained. The 100th Annual Convention set us on path to develop cutting-edge programs to stimulate demand, increase membership and help our current members meet the ever-changing demands of our industry, such as but not limited to, sustainability, regulation, third party audits, adulteration issues and FSMA regulations. Throughout the year our commitment to offer excellent programming, educational and timely information, networking opportunities and expansion of programming through various industry organization partnership endeavors allows us to annually offer a Winter Meeting, Technical Meeting, California Meeting in conjunction with the Southern California IFT and ExpoWest shows, NAFFS Annual Meeting as well as special programs. We foresee this trend to continue in the coming year. Through its relationship with the Association of Food Industries, NAFFS was also able to offer FSMA Preventive Control Qualified Individual training to its members in 2017 and will continue to do so in 2018. In addition, the course on Foreign Supplier Verification Programs will also be offered by NAFFS. That will be followed in early March with our annual joint California Meeting with the Chemical Sources Association and the Society of Flavor Chemists. This year’s roundtable format is always a hit. The Technical Meeting is slated for May 11 at the Newark Liberty Marriott. There, attendees after breakfast shall learn about the flavorings needed for protein and plant-based protein alternatives. An exciting program has been planned including tastings to support NAFFS educational goals. Our calendar of scheduled events will close Oct. 25-27 at our 101st Annual Convention in Longboat Key “The Future of Flavors.” The speaker lineup will offer outstanding industry information and, in the NAFFS’ tradition, great sensory experiences as well. The activities are designed to allow for industry networking, creating connections and a bit of fun. All of the NAFFS programming is designed to offer members information to assist in their daily decision making, product development and strategic planning. We intend to continue our commitment to raise the bar by enhancing our members’ experience from attending a NAFFS meeting. To those from non-NAFFS member companies, please consider joining today. Company membership places you among a varied and wide spectrum of industry participants. 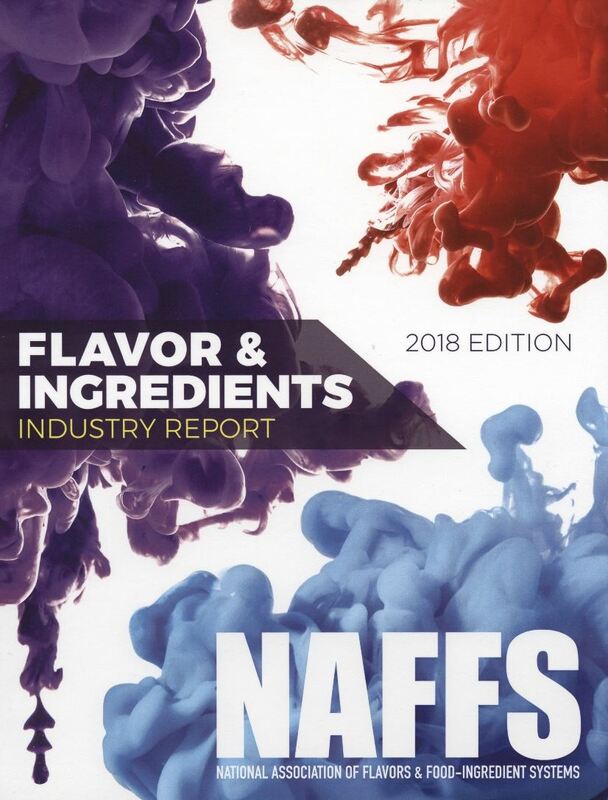 NAFFS offers the opportunity to learn together, learn from one another and become involved in a changing industry that needs our support to make flavors and ingredients better understood and relevant. Join us and together we can strive to make our industry better!